The spicy, warm and intense aroma of true clove bud. Popular in fall and winter holiday products. COMMENTS: Clove Bud brings me to my comfort place. This scent is deliciously warm and a great price. 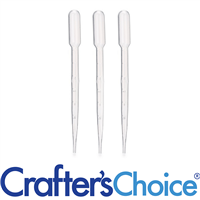 "Crafters Choice™ Clove Bud EO- Certified 100% Pure"
COMMENTS: Good quality essential oil that smells nice. COMMENTS: Powerful and effective with a lovely winter scent. I really love the quality of this product. COMMENTS: Great autumn scent! I use it in several kinds of products and it never causes any issues in my formula. COMMENTS: This scent is strong and lasting. It is my daughters favorite scent. COMMENTS: Good quality essential oil. COMMENTS: This has worked wonderfully in my homemade products. COMMENTS: I love this smell. Just like cloves. The only reason I didn't give it 5 stars is the scent seemed to weaken by the end of the curing time. I will be buying this again. "Great addition to blended scent"
COMMENTS: I blend this with other essential oils to create a new and unique blend. Love it! COMMENTS: This product was just as I expected. "I love Crafters Choice Clove Bud EO"
COMMENTS: I ordered the clove bud EO not being quite certain what clove smelled like but wanting to increase my essential oil choices. I am so happy that I bought this! Smelling crafters choice clove bud EO straight out of the bottle helped me identify the smell that I love! I've smelled this mixed into fragrance oils but didn't realize the portion that I liked so much was clove. 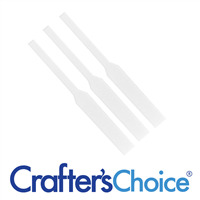 I love Crafters Choice Clove Bud EO! So far I have made a cold process soap as well as a shaving soap. I look forward to using it in many other products! COMMENTS: This has such a warm and comforting scent, I used it in combination with orange essential oil in cold processed soap. It is one of my favorites. COMMENTS: This works well in CP soaps. A little goes a long way. COMMENTS: I will be purchasing this again as it appears to be a hit. Okay, so here's the scoop. I made sugar cube scrubs with Clove Bud EO as the fragrance. As I walked through the door of the bldg. where I rent my space, the owner came up to me and started picking up my packaged sugar cube scrubs and smelling them. She took the Clove Bud one and went to another vendor to have her smell it. All I could hear was, "Ooooo that smells so good". I think that they all will be a hit and will remain part of my line. Planning to make Christmas soaps using this one. I am loving what I can make with WSP products. COMMENTS: I love to mix this with lemon or lemongrass for my pumice kitchen bars. It plays nicely in CP, CPOP, and HP soap. It also blends very well with other spice oils. Nice quality oil! COMMENTS: Love this mixed with some of my other fragrances. Can't be without it. A little goes a long way. COMMENTS: Handle with care! This is dangerous to handle undiluted. Smells wonderfully warm. COMMENTS: I use this as one of the eo's added to my insect repellent. Wonderful. COMMENTS: I've used this is a few CP soaps blends. Good scent, but it does accelerate trace. COMMENTS: This clove bued eo is excellent. I used it in a blend with sweet orange eo and it is perfrect!!! COMMENTS: I really like this essential oil. It smells just like Cloves. I use is with orange essential oil. COMMENTS: I use this in my essential oil blend for hot process soap. This is the first time I've ordered from this company & I am very pleased with the price & the fast shipping. The smell is right on. I will be ordering again from this company. COMMENTS: This is the true clove aroma I've been looking for~ Love it! Just a small amount was perfect! COMMENTS: One of my customers asked if we were going to have a holiday soap fragrance. I decided to try making cp soap with pumpkin in it and needed just the right holiday scent. I decided on a mixture of scents with clove. I don't like really strong scents but decided to give this one a try after reading reviews. It turned out to be a huge success. Customers loved it... good thing there is the "not intended for internal consumption" disclaimer on the label because everyone said they wanted to eat the soap it smelled so good. COMMENTS: A little goes a long ways. Very nice smell, start small and add if needed. COMMENTS: This is a true clove scent that is long lasting and strong. COMMENTS: ok so i love the smell of cloves, and this oil is just awesome, i am making orange and clove essential oil soap as soon as i purchase more the scent is nice and strong and sticks very well in cp soap. very nice. COMMENTS: I love this aroma a lot! I use it for perfume and mix with almond oil, patchouli and sweet orange. People stop me all the time and ask what that incredible fragrance is! COMMENTS: This has a true Clove Bud scent and doesn't take very much. I love it! I am using it in lotion bars and scrubs. COMMENTS: I love this EO, clove is a staple in my soap making. Thanks for offering such a wonderful product. "Love Clove Bud Essential Oil"
COMMENTS: I love the clove bud essential oil. I mixed it with sweet orange and made a wonderful soap that makes me think of the holidays every time I use it. Your essential oils are very good quality and smell great! COMMENTS: Very Strong clove scent. Very true EO. COMMENTS: Smells like the freshest whole cloves you've ever smelled. Holds up well in beeswax,coconut oil/shea butter mix. COMMENTS: Easy for my melt and pour soaps. Loved it in my pumpkin spice soaps for the fall. COMMENTS: Very good quality, love this oil. 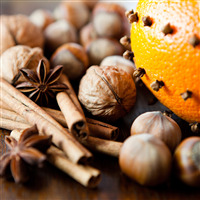 Mix with cinnamon for spice soap or orange EO or vanilla fragrance oil. Love this and so do my customers. COMMENTS: I love this clove bud EO in my cold process soap. It blends beautifully with other EOs,this one is a keeper.It has multiple uses, please keep it in stock. "My clove bud eo review"
COMMENTS: This is the best clove bud eo I have bought out of several different companies. I will stick with this from now on. COMMENTS: This smelled great OTB and worked wonderfully in CP. "For natural scent in CP soap"
COMMENTS: I combine this with Cinnamon and Clove for a warm, fall fragranced soap. COMMENTS: This is a good quality essential oil at a reasonable price. I use it in a pain-relieving salve and it is very effective. It's also nice in holiday blends. "Clove Bud EO is my personal favorite"
COMMENTS: I am new at this but I have used it in room sprays, carpet sprays, reed diffuser, and deodorant for my husband. Love it! COMMENTS: Use this in my cold process soap and massage oils. COMMENTS: My favorite essential oil to use. High quality oil with an excellent scent. It is great for mens products, or for the wintery, holiday scents. It does accelerate a bit after cook, but I have found no issues with it. I add it at the end and then directly into my mold. COMMENTS: Great example of a quality spice oil that smells exactly as described and just like the cloves in your kitchen. A little goes a long way! COMMENTS: This is a very nice essential oil that compliments other oils. It is NOT like cinnamon, but it is warm, sweet, and spicy. I have noticed accelerated trace when I add clove essential oil to CP soap, so I add this last before pouring the batch into the mold. Not a big issue. COMMENTS: Great scent, great price, great for blending! It's everything you expect in clove EO. Would buy again. COMMENTS: I use this so much I need to buy more! It smells exactly like cloves and my customers love it. COMMENTS: I purchased this in an 8oz size for the first time, just because I love the smell of cloves and wanted to try it out. Will be purchasing larger one, it worked so good as a "booster" to candles, I saved a lot of left over wax, when I wanted to change the fragrance, such as if I had done one in lemon/cinnamon, I would take the left over wax and add the clove and it made another fragrance with a spice and loved the way it smelled. You won't be disappointed. COMMENTS: Excellent scent and excellent price. I have used this in room spray and muscle salve. I recommend this highly! • Good scent, not over powering. COMMENTS: As with all fragrances and essential oils I have ordered from wsp this performs very nicely and is the real deal. I really loved the wide mouthed bottles that fragrances come in. They make it possible to extract contents with a syringe for exact measurement and no waste from bottle dribbles. COMMENTS: I use this in combination with cinnamon for a unique smell. Love it. COMMENTS: I purchased this to use in men's shave oil and it is wonderful! Great spicy scent but not too strong! Can't wait to try in some holiday lotions. "I Enjoy Using This Product"
COMMENTS: This essential oil is good quality! My soap smells wonderful and it does not fade over time. I will buy this essential oil again. COMMENTS: I have ordered other brands of Clove Essential Oil and find they do NOT compare to WSP. A true quality oil. COMMENTS: Great smelling oil, perfect for those holiday soaps! COMMENTS: This scent made a lovely CP soap. "Clove Bud EO- Certified "
COMMENTS: The best I have ever used. I won't purchase it anywhere else! COMMENTS: I combine the Clove EO with ground cloves' in my cold process soap- a real winner for fall! COMMENTS: This is a true EO for Clove Bud. I think it is a bit strong to use alone in CP but it holds up well and can be blended nicely with some other citrus, musks, sandalwood, or even with florals. Without blending, you might find it has a bit of a bite to it. COMMENTS: Very nice oil. Holds up great in soap. Great price. COMMENTS: This EO is extremely versatile in blends. One of my favorites is orange/clove. It can also be used in chai scented blends. It's very potent so you need very little. COMMENTS: This smells great, and I can't wait to use this in some of my fall line! Thank you! COMMENTS: LOVE THIS ONE! Has just the right amount of "bite" to it. Smells just like the real spicy scent of clove. Also, it did not accelerate trace for me. Other places that I have purchased Clove E.O. from are more expensive and I do not believe have the same quality. COMMENTS: A little goes a long way! Indispensable for fall soaps! COMMENTS: This clove is great! not too strong, but the smells really sticks. I made a great chai latte soap that my customers love. COMMENTS: I used this in an antibacterial blend and it is wonderful. Also used in cold process soap and melt n pour soap. COMMENTS: Great scent. Strong smell and has become my favorite essential oil from WSP. COMMENTS: This is such a great smell! I love the smell of cloves and this essential oil magnifies it to perfection! COMMENTS: This oil smells amazing. I have used it in two different soaps and both are loved! The oil itself has such great cleaning properties for the skin and body and my skin feels amazing after using it on my skin. My customers have zero complaints about this oil. Be careful though, clove is a very strong scent and if overused, can be overbearing. I love the color this oil gives my soaps. COMMENTS: I bought this clove oil to use in a homemade version of Tiger Balm, mixed with cinnamon, peppermint, and a few other EO's. It works fantastically and all my friends are begging for more. COMMENTS: This essential oil is one I use often. 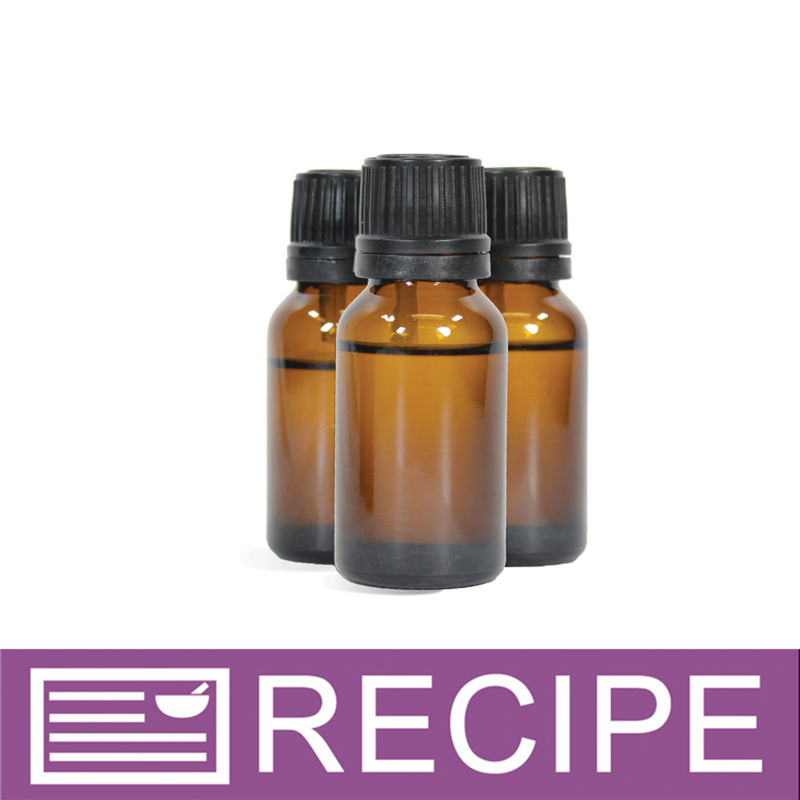 It makes a great base note in essential oil blends. I love the spice smell. I also use this oil alone to scent reusable dryer sheets. This gives our wash a gingerbread smell that my family just loves. This is one of my must have essential oils. COMMENTS: We use this in a blend and it's very good. Don't have to use too much so it lasts long. "Perfect for our Dew Breathe"
COMMENTS: We use this in our Dew Breathe sinus stick product. COMMENTS: I ordered this Essential Oil to add a Christmas Holiday aroma to my line. I was pleasantly happy with the product. The aroma reminded me of the scent used in our home around Christmastime when we were growing up. My Mom had oranges studded with cloves all around the house during the holiday season. I mixed some Orange EO with the Clove Bud and I was back home again in an instant. The soap retained the nice aroma so I was happy. COMMENTS: Good quality, strong scent. Used in thieves oil blend. COMMENTS: I made a batch of soap with this EO for a customer who had requested it and I'm glad I did. It is a great smell on its own and sticks very well but it is fantastic when mixed with vanilla. a must have for your male product line. "Excellent addition to 4 thieves EO blend"
COMMENTS: I blended this with Lemon EO, Rosemary EO, Eucalyptus EO, and Cinnamon Bark EO to make a version of 4 Thieves EO synergy. I used it in CP and expected it to REALLY misbehave in the batter because some of these are known for seizing. The blend behaved beautifully. The scent stuck and is LONG lasting. Your sinuses open up in the shower and your house smells wonderful after the shower is done.The price was the least expensive over any other I found. I am impressed. Great buy! COMMENTS: I bought this to make my own antibacterial oil blend; I'd been concerned that it might not have that true clove smell that I so love. But, when it arrived, I found that it was exactly what I'd been hoping for! Very clean clove fragrance, and works wonderfully well in my oil blend; I plan to use it for antibacterial room spray blends, as well as in body creams! COMMENTS: Love this clove essential oil! The price is also very good! COMMENTS: Excellent oil to use to spice things up. Whether it is orange or apple scents this oil easily gives them a spicy addition. "Bold and masculine, a very solid choice." COMMENTS: One of my best bars is clear with black and tan curls and a clove scent, for which this oil is perfect. Clove shaving soaps are another favorite. Augment your earthen designs and colors with this awesome spice. • Doesn't lose potency/quality over time. "Great colove smell for soap making"
COMMENTS: I used the Clove Bud EO in several of my recipes along with Cinnamon, Patchouli, Ginger and Sweet Orange. The combination of these creates a wonderful scent. I have used this combination in coffee and beer soap recipes. COMMENTS: This clove oil retained its fragrance through cold-process as well as a more expensive oil I had previously ordered. Good value! COMMENTS: I initially ordered Clove at a customers request and instantly fell in love with it. It has great staying power in cold process soap and is a great unisex scent. For me, it is a great Autumn scent but I use it year round. Just a word of caution, Clove tends to accelerate trace in my recipes so plan for that when using it. If you are going to use essential oils, ensure Clove is on your list. COMMENTS: I don't use a ton of clove EO, so I appreciate that I can buy clove at wsp in smaller increments. The price is good, and this clove is nice and clean. Soaps well in CP/CPOP. COMMENTS: I love the smell of cinnamon and clove and this one is great with the cinnamon EO. Smells wonderful and lasts in the soap. COMMENTS: Love this clove bud! I used solo & blended with other EO's & FO's for great combo's. Fantastic spicy aroma, soothing. A favorite especially in kitchen candles and sprays or in any room during fall & winter seasons. "GREAT PRODUCT!! Wish you had more EOs"
"Great in Candles and Incense!" COMMENTS: This has been a great product for us. Worked great for candles and our incense products. Customers love the scent! COMMENTS: Excellent quality essentialy oil in easy to use amber glass bottles. "How much Clove Bud EO can safely be added to bath fizzies? " Staff Answer This essential oil has a very low skin safety percentage. You would use no more than 0.50% in bath fizzies. "Is your Clove Bud EO pale yellow or is it brown?" Staff Answer Our Clove Bud EO is clear in color. "Does your Clove Bud EO have a Eugenol content of around 85%? I am researching the removal of goat horns with the injection of clove EO, and the Eugenol content needs to be at or around 85% for this painless, more humane procedure to be effective. " Staff Answer This information is listed on the SDS sheet which can be found under "MSDS & Docs" for this product. Please let us know if you need any additional information. 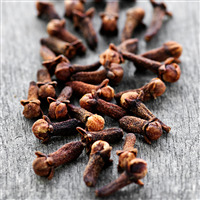 "This item is titled Clove Bud yet the ingredients state that it is Clove Flower. Can you help me understand what ingredients are in this item? Is it the bud of the clove or the flower of the clove?" Staff Answer Our fragrance oil is distilled from Clove buds and Clove buds are dried flowers from the Clove Tree. "I am having a problem.. I have tried twice to make a loaf soap with this scent. 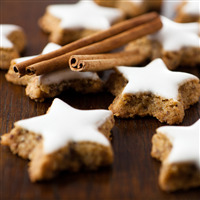 I make up the recipe from scratch, add the fragrance It causes the mix to harden fast!. The second batch I made was ok at first, I waited 24 hrs, sliced the loaf and it crumbled. So frustrated. The fragrance smells Devine. Just need help to make it work." Staff Answer Many of the customer reviews for this EO in CP do not indicate any problems with seizing, accelerated trace or crumbling. This EO may just be reacting with something in your soap recipe. I would suggest trying this EO with a different soap recipe or eliminating oils from your recipe to determine which is the culprit so you can remove it. Test batches really are the only way to find the perfect balance for a fragrance or essential oil. "Are your essentials such as Clove Bud food grade?" Staff Answer We do not sell any food-grade products as we are not an FDA-approved food packaging facility. All of our Essential Oils are considered cosmetic grade. It is a 100% pure undiluted oil, but should not be taken internally. It is for skin usage only (see IFRA for guidelines). "Is this product lip safe? I have a customer requesting a clove lip balm."